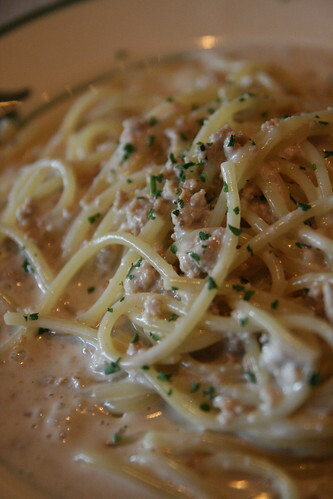 A rather tasty bowl of "spaghetti al ragu bianco": minced pork and chicken in a cream sauce. 18,000 won at CasAntonio in Itaewon. Visit their website here or head down to Itaewon and take the road opposite the fire station. CasAntontio is on the right hand side next to Helios.